Stata can easily produce "publication quality" graphics, but it takes a few more steps to actually put them in a publication. This article will discuss how to save Stata graphs in various formats. It will also show you step-by-step how to insert a Stata graph into a Word document or PDF file. 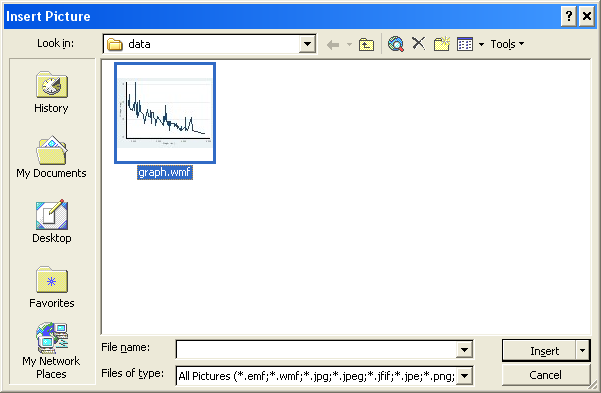 When you create a graph in Stata, the result is simply a picture on the screen. If you want to be able to view it after your current program finishes, you'll need to save it. where filename should be replaced by the name you want Stata to give your file. Stata will add .gph to the end of the filename automatically. The replace option tells Stata to overwrite the current version of that graph if one exists--without that your do file will fail if you try to run it more than once. The disadvantage of graph save is that the .gph files it produces can only be read by Stata. 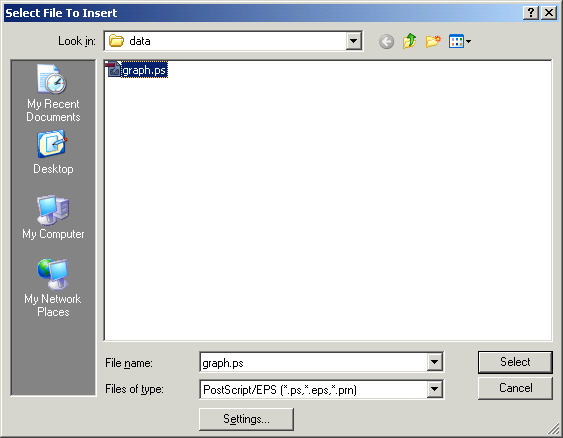 To create files usable by other programs you'll need graph export. However, graph save can be useful if you want to move graphs between computers--for example from a Linux server to a PC. The filename will be assumed to end in .gph if you don't include an extension. Stata's commands for creating graphs tend to take a lot of computing power, so making a lot of graphs can take a long time. Keep in mind that the fastest way to run a Stata job at the SSCC is to submit it to Condor so it will be run using Stata/MP. But Condor jobs must be run in batch mode, and batch mode has the fewest file format options. This is where graph save comes in: create your graphs using Condor, and save them using graph save. Then you can open the resulting .gph files in Windows Stata or interactive Linux Stata with graph use, and finally use graph export to convert them to the format you need. See An Introduction to Condor for details about submitting jobs to Condor. Next open the document into which you want to insert the graph using Word. Put the cursor at the desired location. Then click Insert, Picture, From File. Locate the directory where you saved the graph, select it, and click Insert. Next open Adobe Acrobat (not Adobe Reader, which only reads PDF files--Adobe Acrobat is available on Winstat). If you already have a PDF file and you want to add the graph to it, open the file, then click Document, Insert Pages. Set Files of Type to PostScript/EPS. Locate the proper directory, click on your graph, and click Select. If you want the graph to be a PDF file all by itself, click File, Create PDF, From File. Then locate and select your graph. What format will work in other situations is difficult to predict, and you may need to try several alternatives. PostScript is a standard format for printing across all different kinds of computers. This makes it a good choice for situations that involve printing, or for use on computers other than PCs. Enhanced Metafile is an excellent choice if you want to use the graph in a Windows program, as tools for working with emf files are embedded in Windows. However, computers that are not running Windows will probably have no way to open emf files at all. PNG is a standard picture format, but a relatively recent one. Older programs may not recognize it (try TIF with those programs). However, PNG is a great choice for web pages. It's also a good format for just sending a graph to someone—most computers will open it with some sort of picture viewer or editor.